Interviewing full stack developers can be a difficult job. As an interviewer, you’ll need to assess personality, technical proficiency, and work ethic all at once. While you may have rounds of interviews to accomplish this, it’s best to establish as much as you can within the first interview. How do you accomplish this for a technical interview? How do you interview full stack developers effectively? 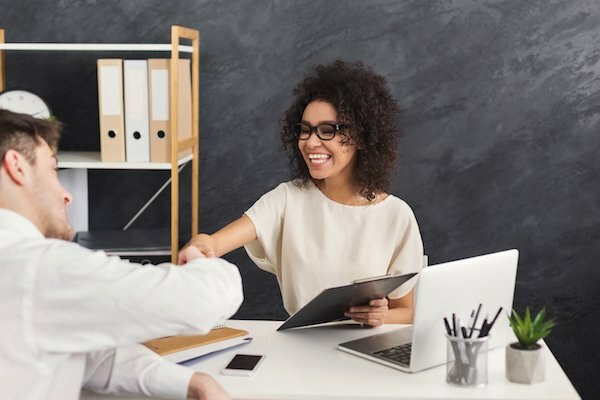 There are plenty of ways to conduct an interview successfully, so there’s not one single format that’s guaranteed to work or fail one hundred percent of the time. However, there are some tips and tricks you can employ to ensure your full stack developer interview goes as smoothly as possible. The technical portion of a full stack developer interview can be tricky. Why? Full stack developers need to know a great deal about many software development topics. In your interview with a full stack developer, you’ll need to test their knowledge of systems engineering, managing databases, and crafting timetables and requirements documents. For this reason, you’ll want to pull your technical questions from multiple sources, gathering effective interview questions from software development and engineering sites. With a healthy mix of topics and questions of varying difficulty, you’ll have a greater ability to determine the technical ability of each and every full stack developer you interview. It’s advised to prepared personalized follow-up questions before you sit down to do the interview. Review their resume, portfolio, and their recommendations, then find any areas you would like to highlight. Creating follow-up questions on the fly for full stack developers is ill-advised for a number of reasons. Firstly, the full stack developer role is a nuanced one, so the credentials of the individual interviewing for the position will be somewhat complex when compared to other roles, non-technical and otherwise. Secondly, building a professional relationship and understanding requires a certain level of personalization during the interview process. One of the best ways to ascertain how skilled a full-time full stack developer is can be achieved by simply taking a look at their code, their past projects, and their current apps in development. Use their GitHub repository, a portfolio of work, and development projects as a crux for the interview. You’ll be able to more easily personalize the interview, build a rapport, and make an accurate judgment about their full stack development ability. Development roles require constant learning. Platforms, tools, and programming languages all go through massive updates, incredible changes, and major innovations within a very short period of time. While education and experience are crucial factors for full stack developer candidates, it’s also critical that the candidate is aware of how to continue professional development. Full stack developers need to be self-motivated learners that seek greater knowledge and resources without direct intervention from a company, a manager, or a professional development program. It’s easy to miss the most important interview question of all. Why do you do this? What made you want to become a full stack developer? What motivates you? What drives you toward excellence? Full stack development is demanding. It takes an inordinate amount of dedication, concentration, and technical excellence in order to get the job done. For this reason, it’s vital for full stack developers to be passionate about what they do. Find out what drives them, what they believe their role is, and why and how they continue to push themselves both personally and professionally. Assessing full stack developers is an arduous task. You’ll need to assess much more than their technical ability. Moreover, testing a full stack developer technical skill is incredibly demanding as you’ll need to cover a large number of software development topics. Pull technical questions from multiple sources to arrive at an acceptable interview script. In terms of assessing the candidate in other ways, be sure to review their resume, recommendations, and portfolio before the scheduled interview time. Then, use their portfolio as a major talking point and anchor for the interview. Then, move into talking about how they stay up-to-date as full stack developers. How do they use Docker? Do they use other open-source tools? What communities do they use? Stack Overflow, GitHub, or StackExchange? Finally, ask them what drives them as developers to see how dedicated they really are. About the Author: Michael Volkmann is an entrepreneur with a focus on business operations and finance. He has worked with many small businesses helping them with their M&A for over 6 years. When not in front of the monitor, he spends his time snorkeling and traveling. You may sometimes catch him on Twitter. Michael Volkmann is an entrepreneur with a focus on business operations and finance. He has worked with many small businesses helping them with their M&A for over 6 years. When not in front of the monitor, he spends his time snorkeling and traveling. You may sometimes catch him on Twitter.